Last year, I aggregated Australian Bureau of Statistics (ABS) hospital collated data on reported suicides of Aboriginal and Torres Strait Islander peoples – 996 suicides from 2001 to 2010. 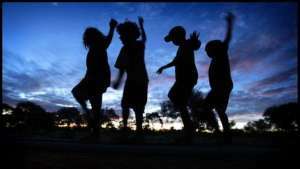 That is 1 in 24 of all deaths of Aboriginal and Torres Strait Islander people – by suicide. There is no ABS data available at time to determine whether the crisis has abated or got worse, but I have been record keeping reported suicides – whether through the media, community organisations or via other sources – for my own academic research on premature and unnatural deaths. I have found that from the beginning of 2011 to end 2013 there have been nearly 400 suicides – child, youth and adult – of Aboriginal and Torres Strait Islander peoples. Last year, on October 23, the Chair of the Prime Minister’s Indigenous Advisory Council (IAC), Warren Mundine read my journalism and some of the research published predominately in The National Indigenous Times and by The National Indigenous Radio Service and in The Stringer and Mr Mundine responded with a never-before-seen commitment by a high profile Government official to urgently do something about the out-of-control crisis. He added the crisis to the IAC’s mandate – and he time-limited it to six months so that the crisis would not languish. But three months have passed and we have not heard anything from the Council despite several requests to them for information on any potential progress.